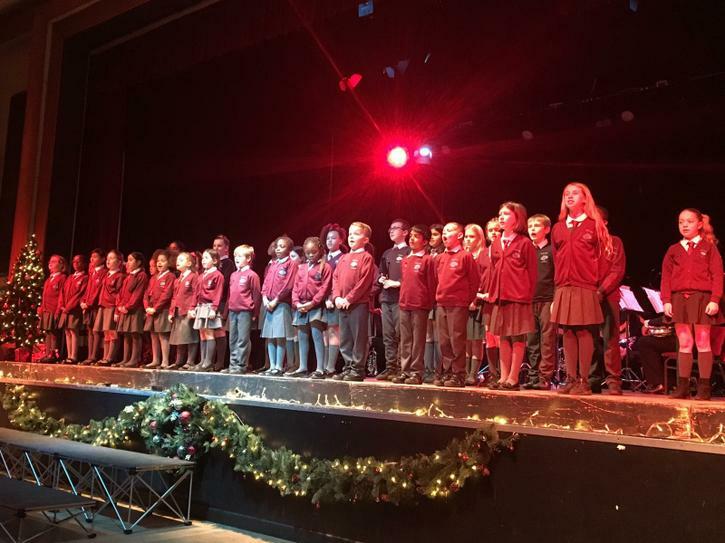 Woodside KS2 Choir performed in the 2018 Rotary Christmas Concert at the Civic Hall, Friday 14th December; along with Aveley and Newham Band, Abbie Ward, The Mosiac Choir, North Ockendon Handbell Ringers, Paul O'Brien and Rotary's Magic of Christmas. 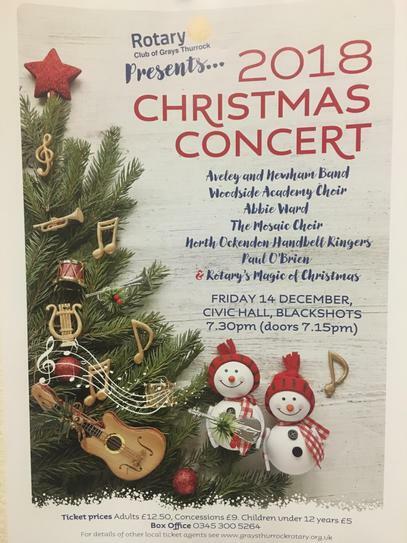 This was a very enjoyable evening featuring professionally presented and entertaining local artistes and first rate singing and playing across a range of genres plus the chance to join in. All profits went to the Rotary Club of Grays' local charitable work which often includes schools and young people. We took 36 singers; many of them also playing chimes or steel pans, which added an authentic touch to our two Caribbean carols; Mary's Boy Child and Calypso Carol. 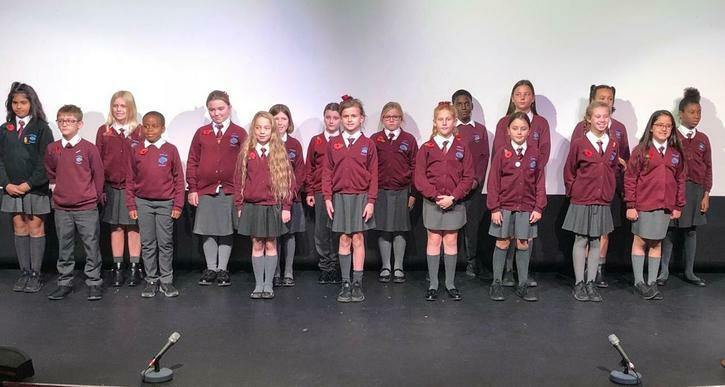 The children were highly complimented on their singing and playing and their behaviour and dress for the performance was also immaculate, complete with their new Woodside Choir ties.